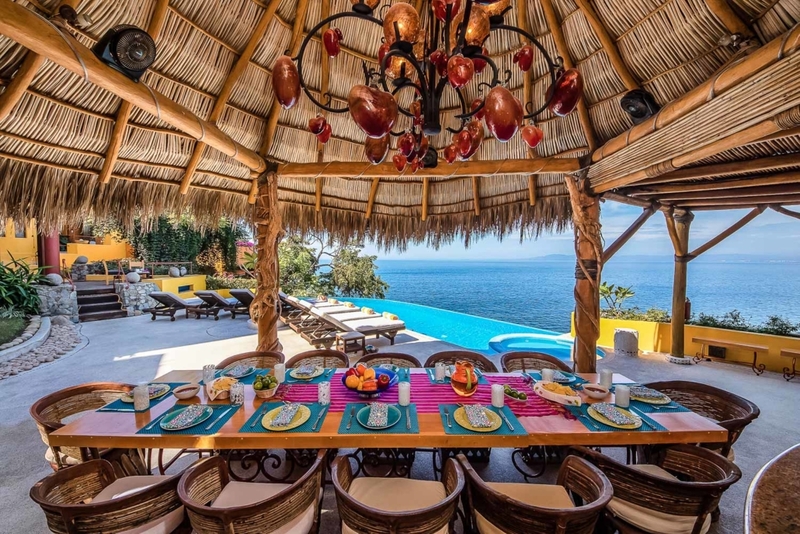 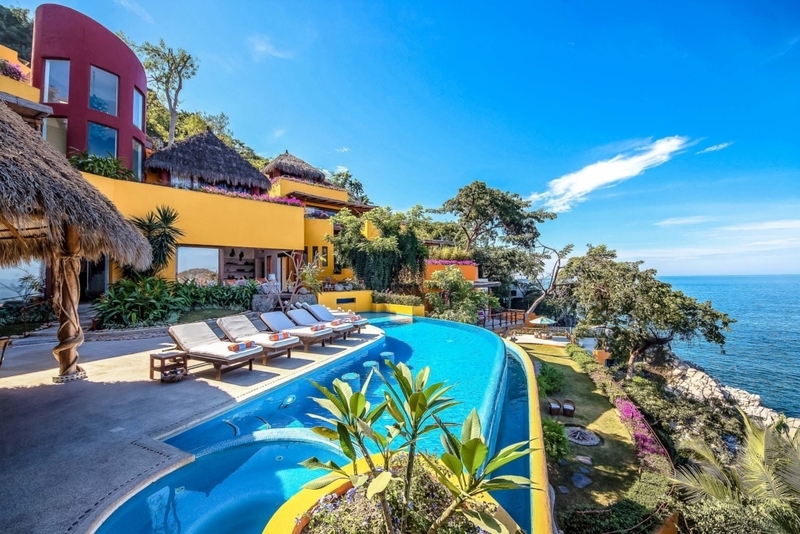 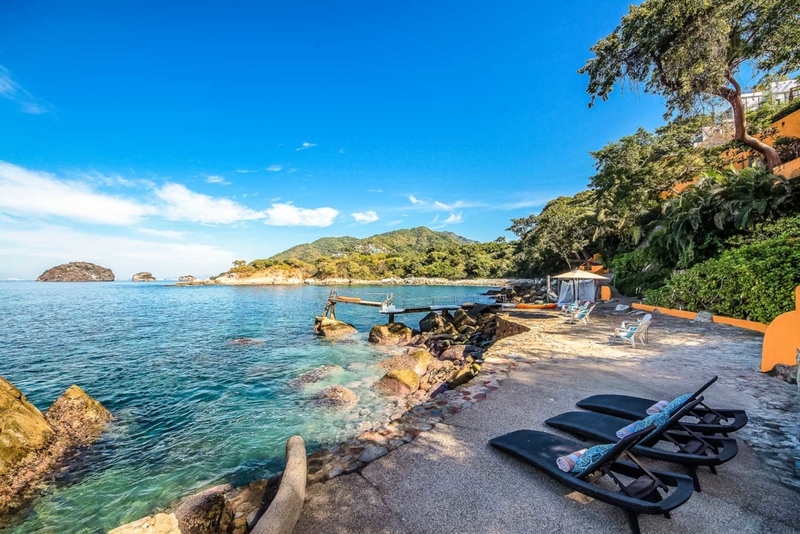 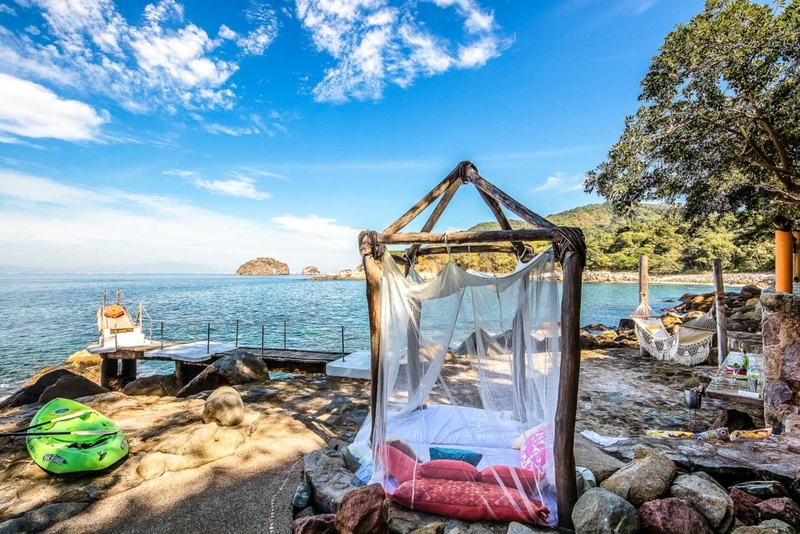 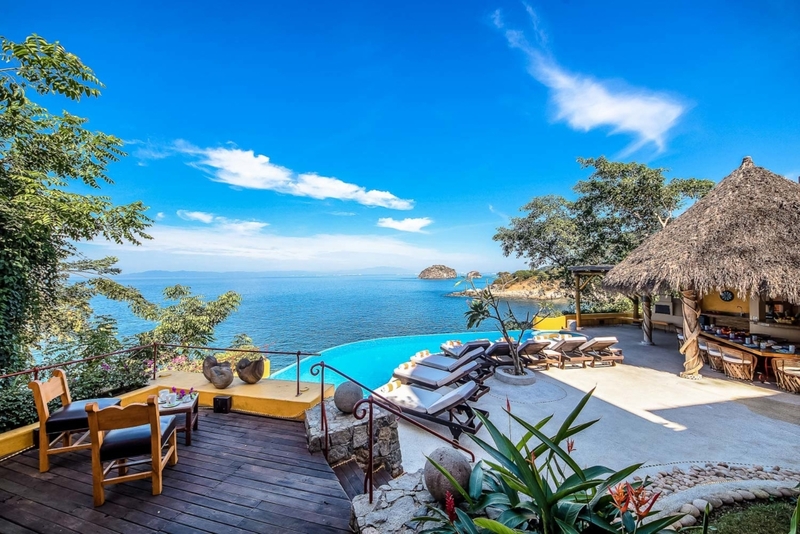 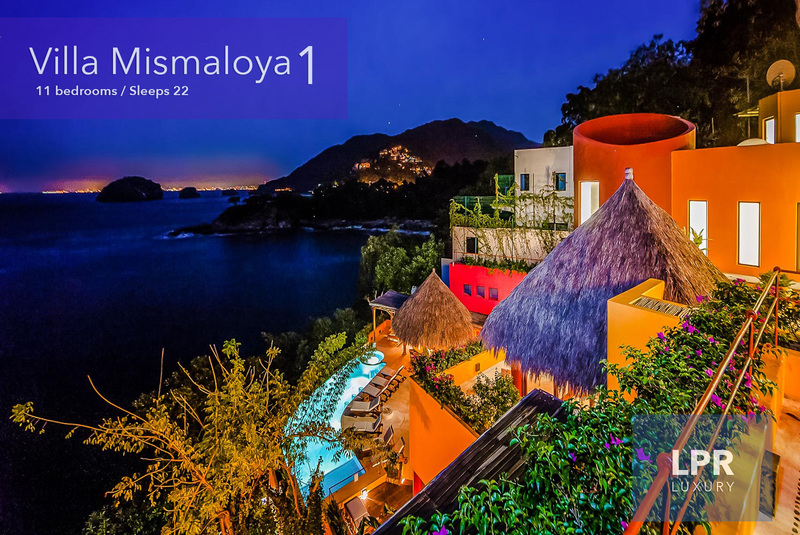 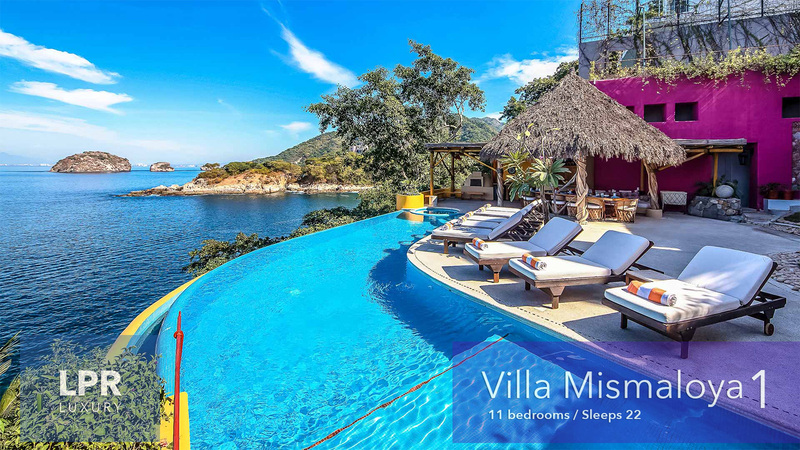 One of the most prestigious properties on Mismaloya’s beautiful coast, Villa Mismaloya 1 captures breathtaking ocean views from its six level, oceanfront estate. 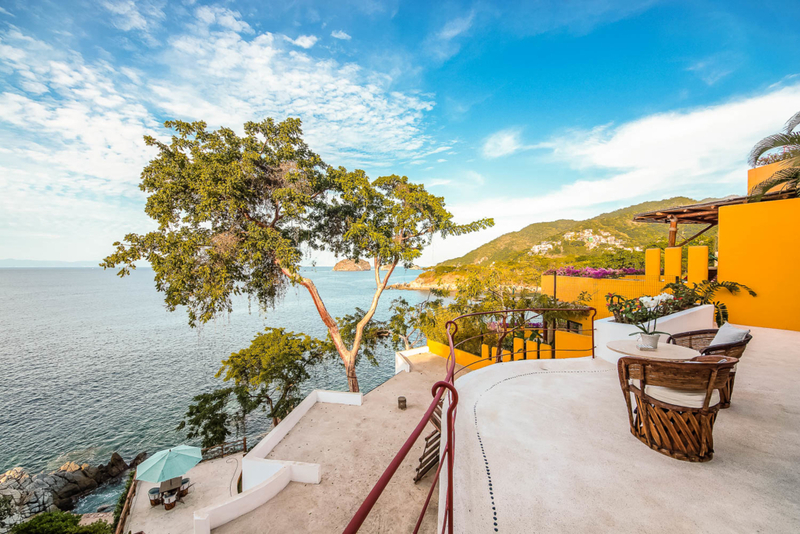 From its highest point, you’ll have an ocean vista as far as the eye can see. 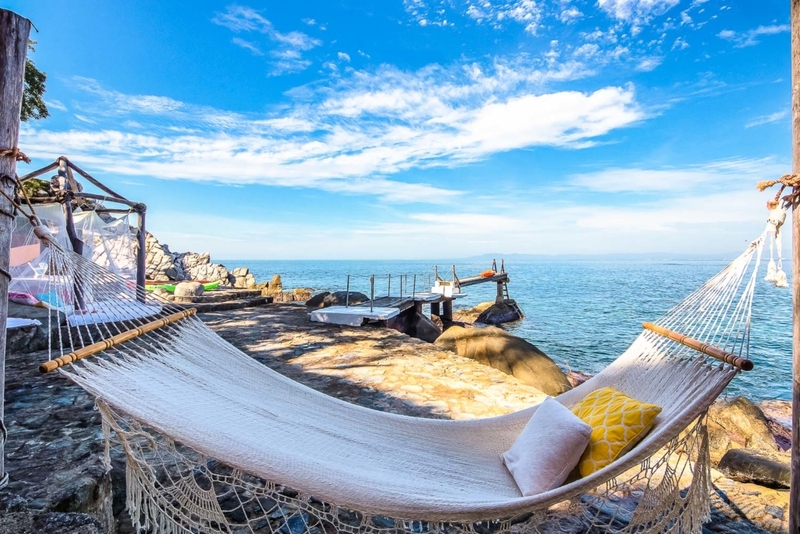 For a closer look, head down to the oceanfront terrace, which features a man made tidal pool, and a pier for ocean access. 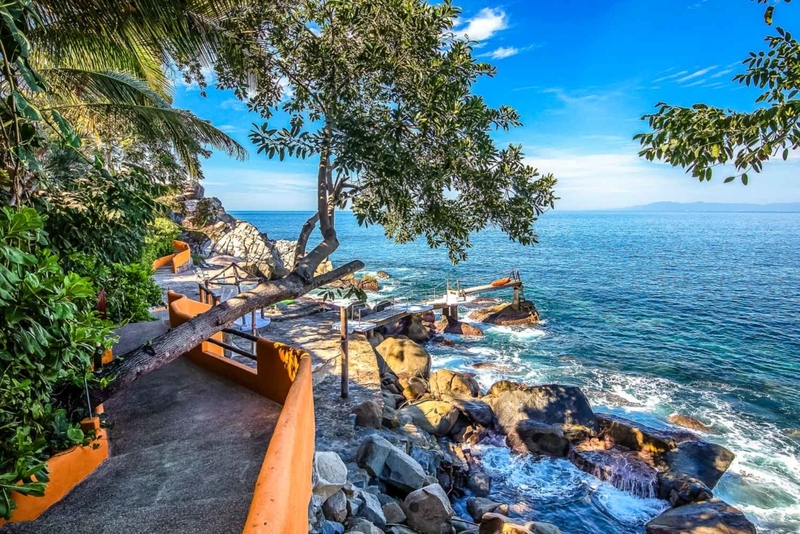 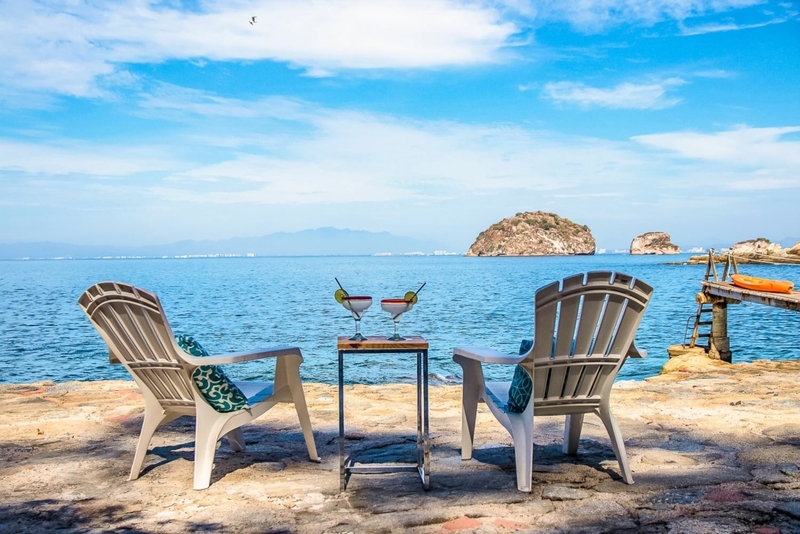 Nearby, you’ll find golf, local restaurants, Puerto Vallarta, and beautiful beachfront, just minutes from home. 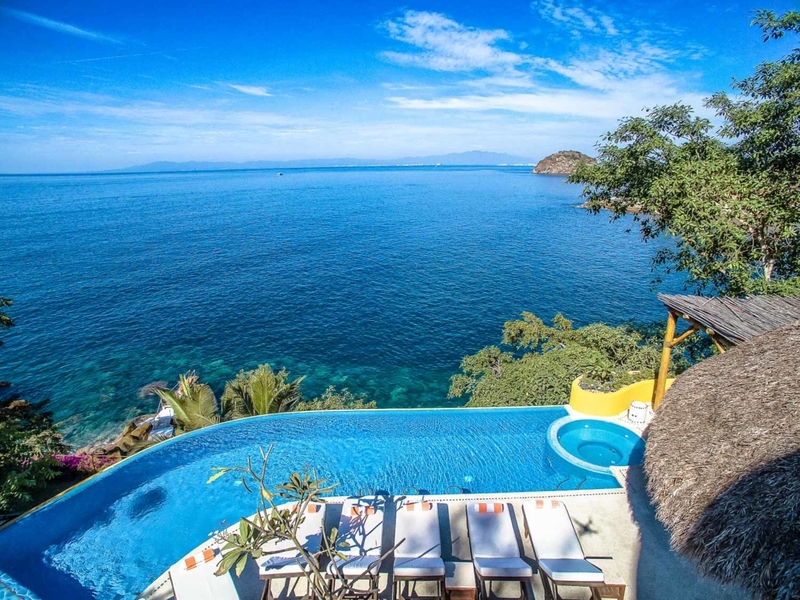 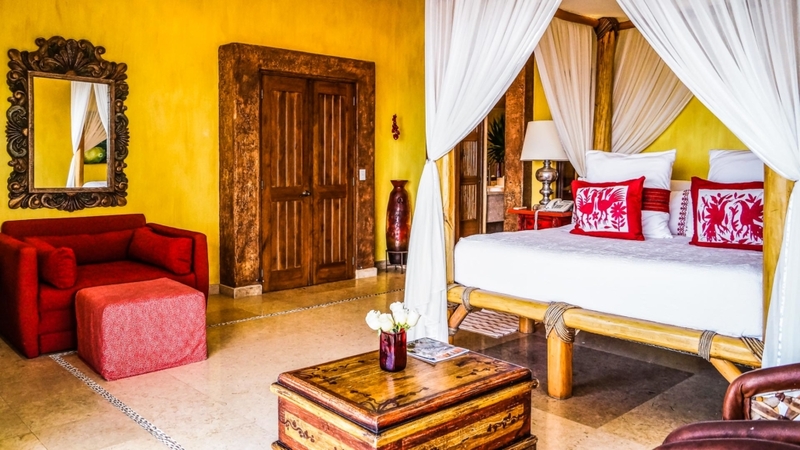 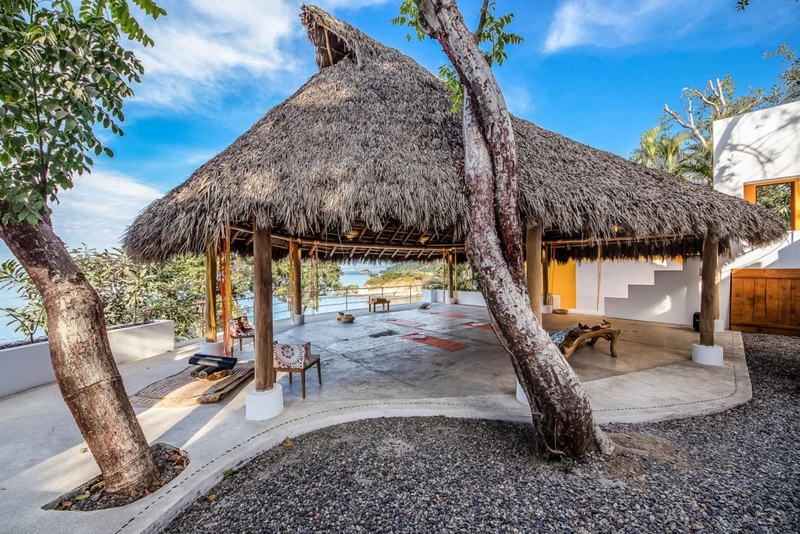 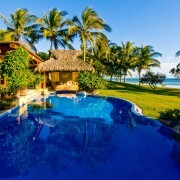 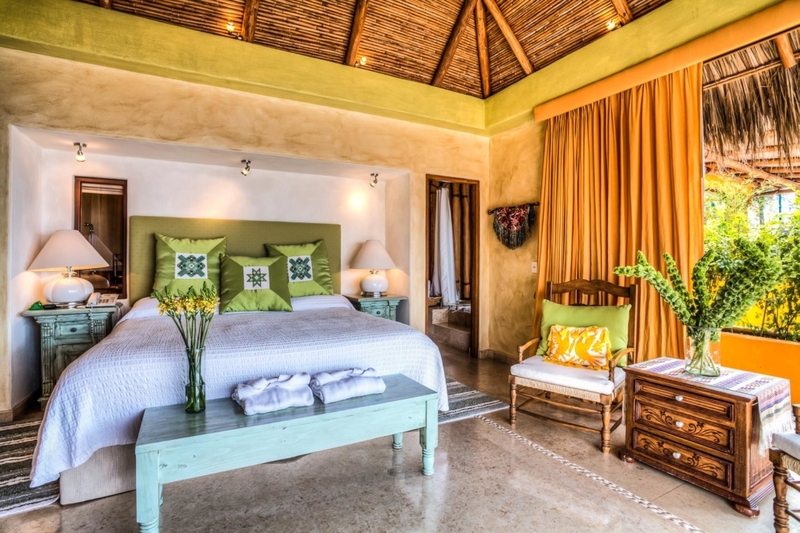 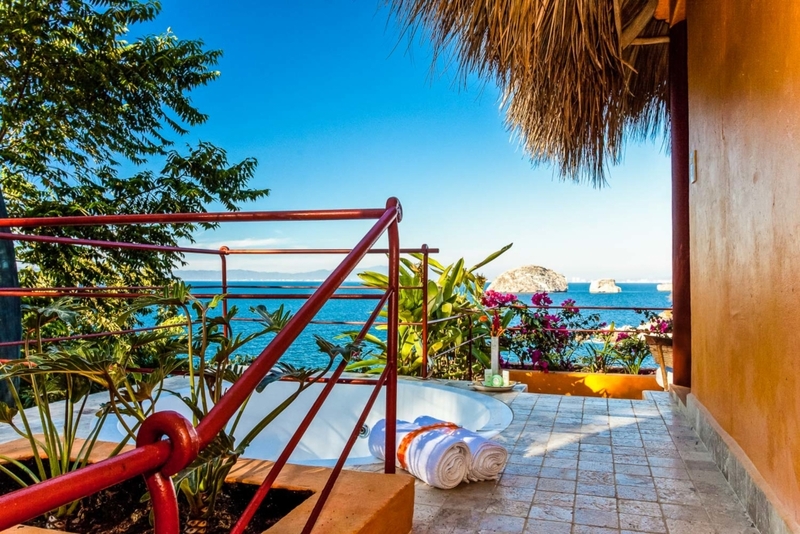 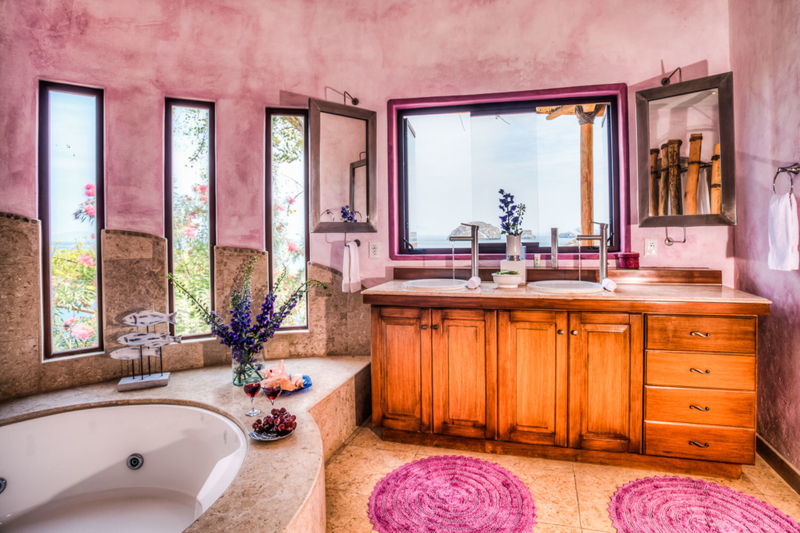 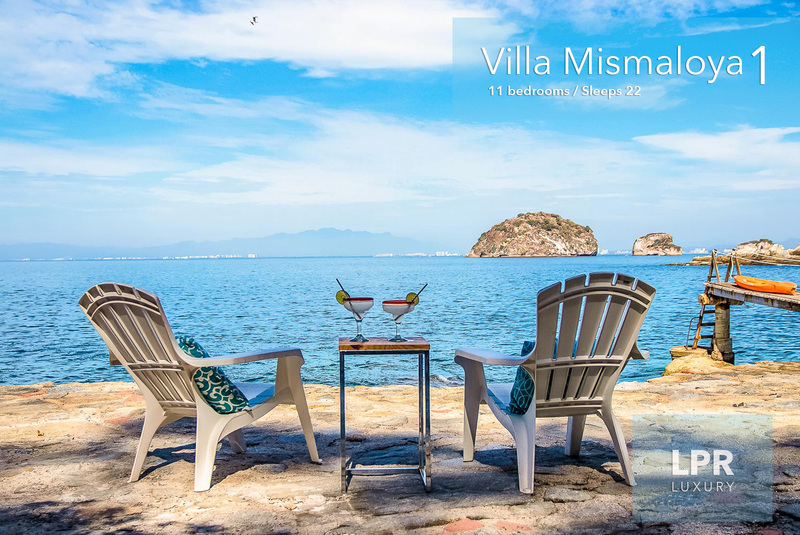 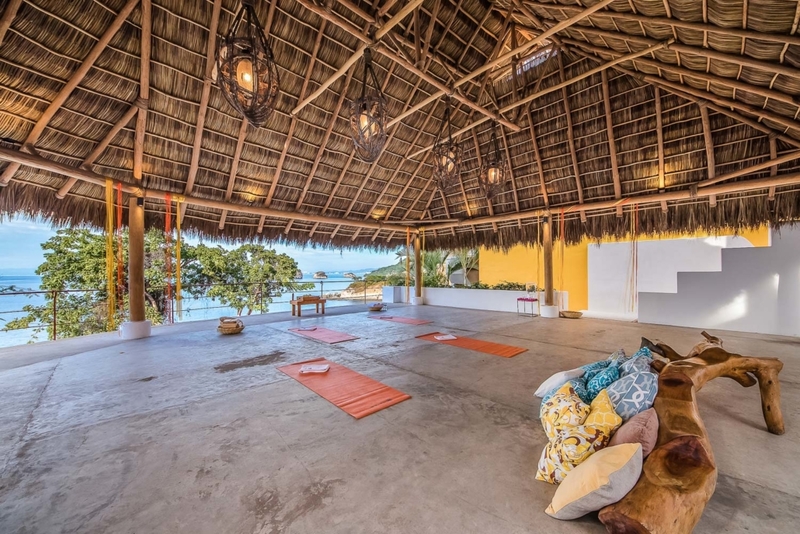 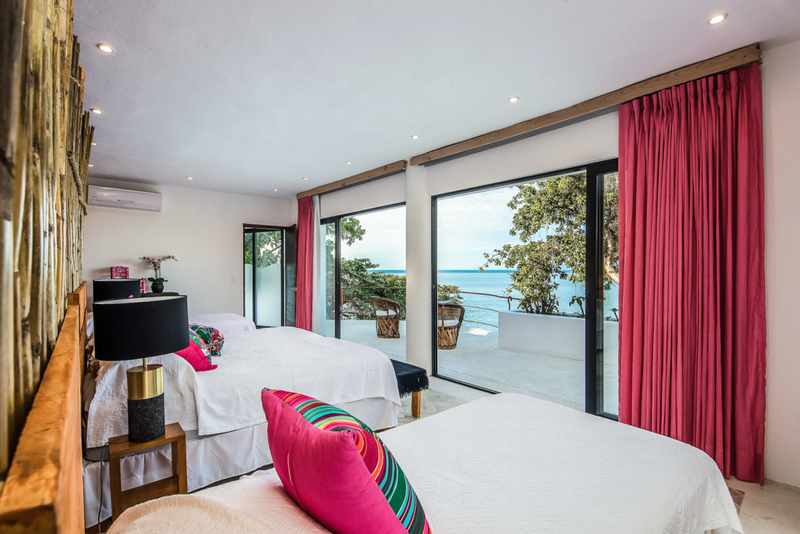 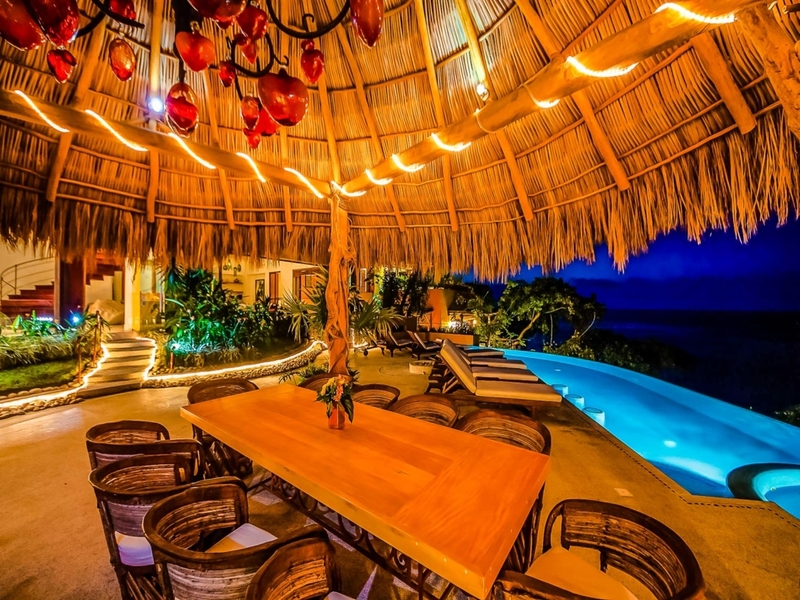 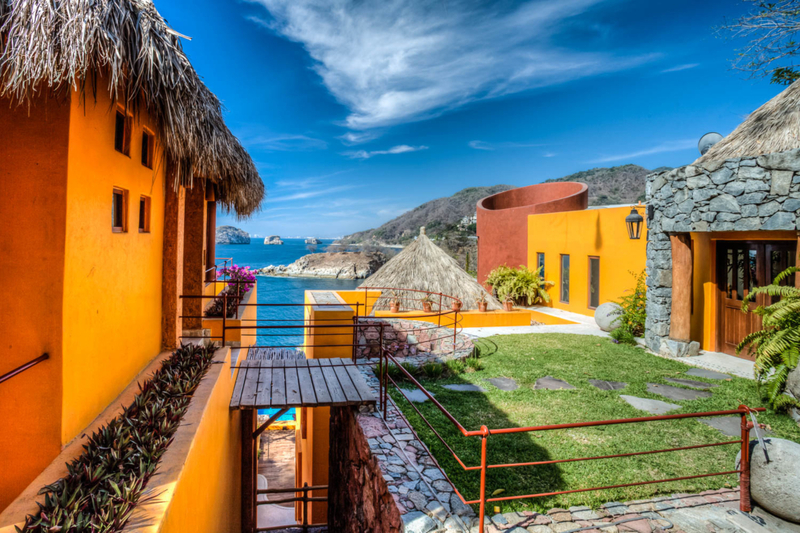 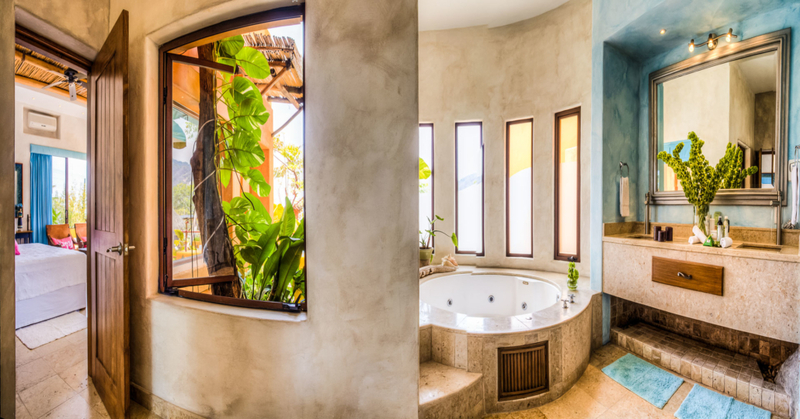 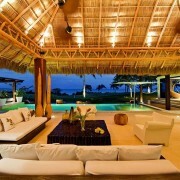 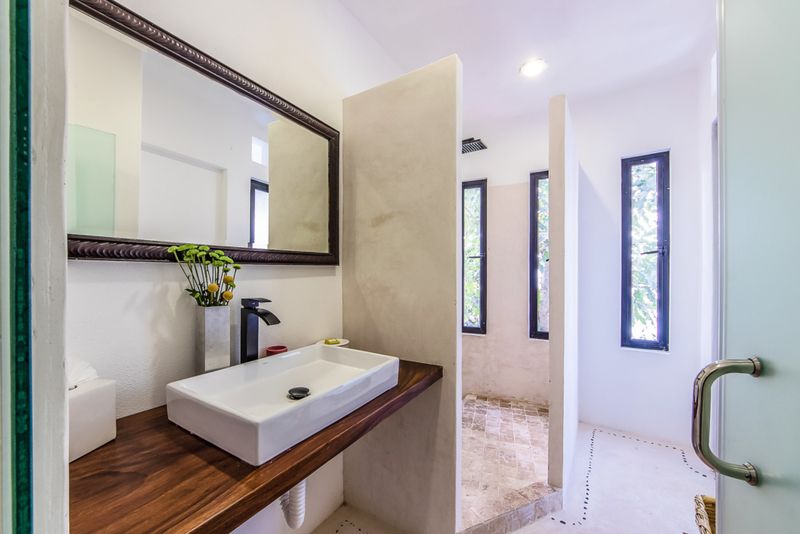 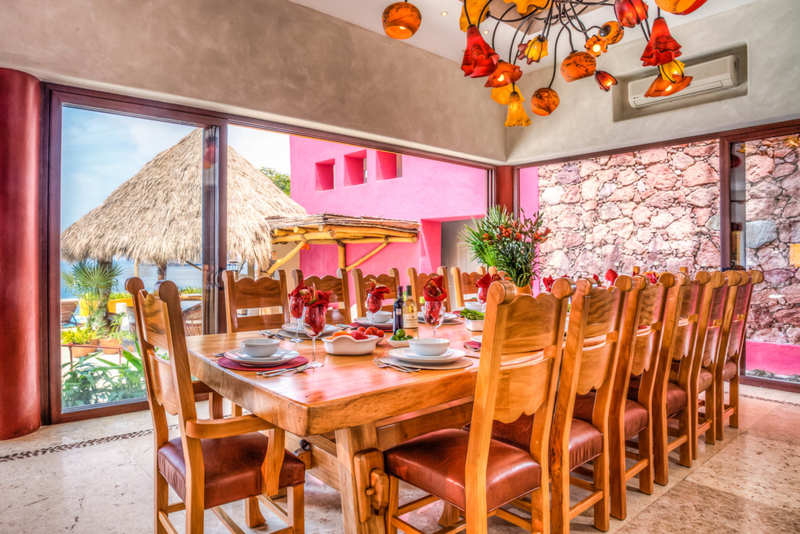 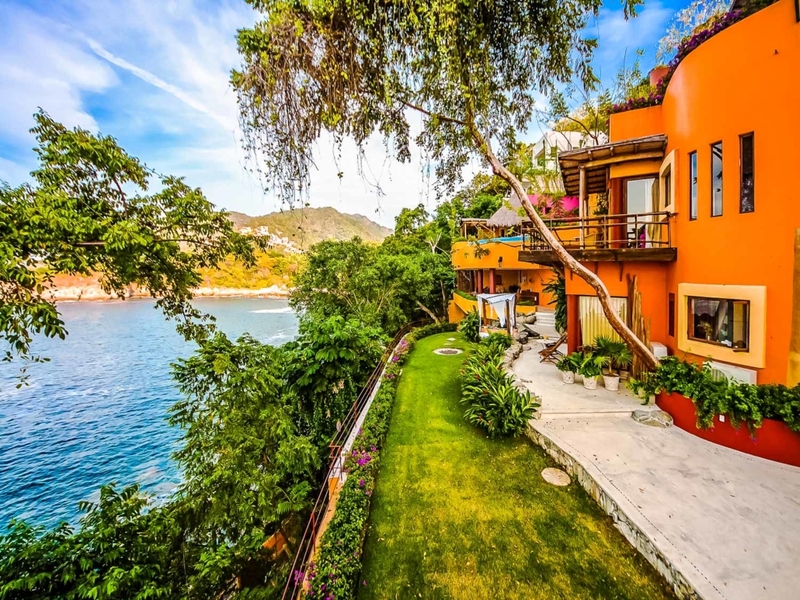 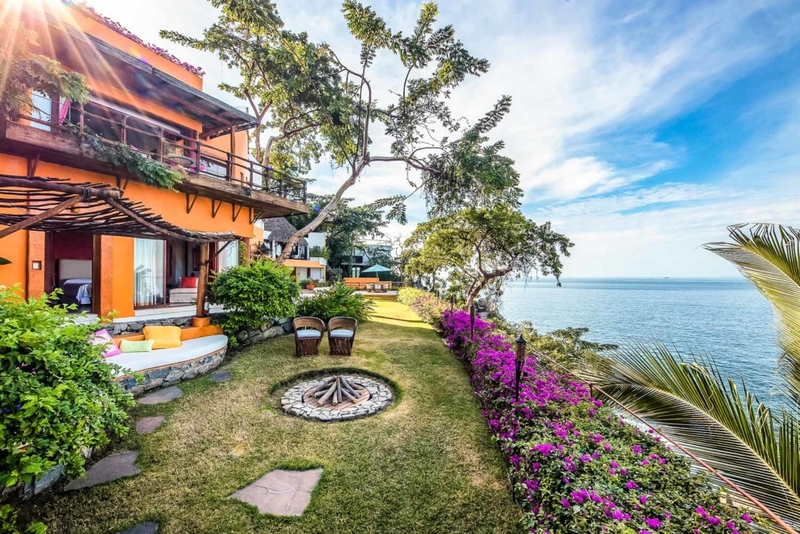 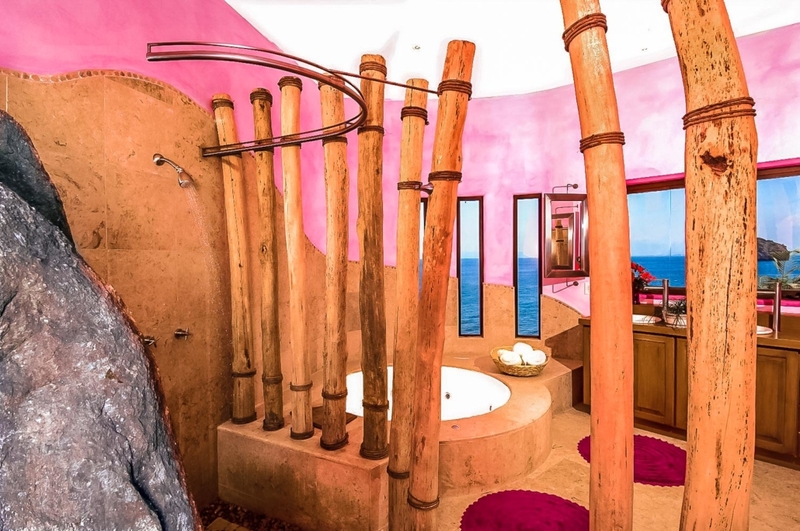 Architecturally,Villa Mismaloya 1 is an exciting, adventurous tropical getaway. 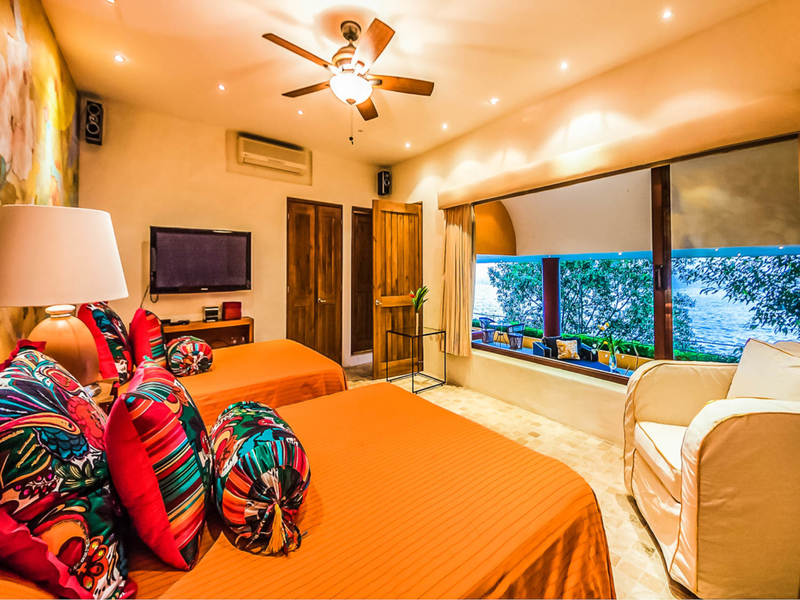 Its vibrant color scheme and vast amount of indoor/outdoor living space will leave you with something new to discover every day. 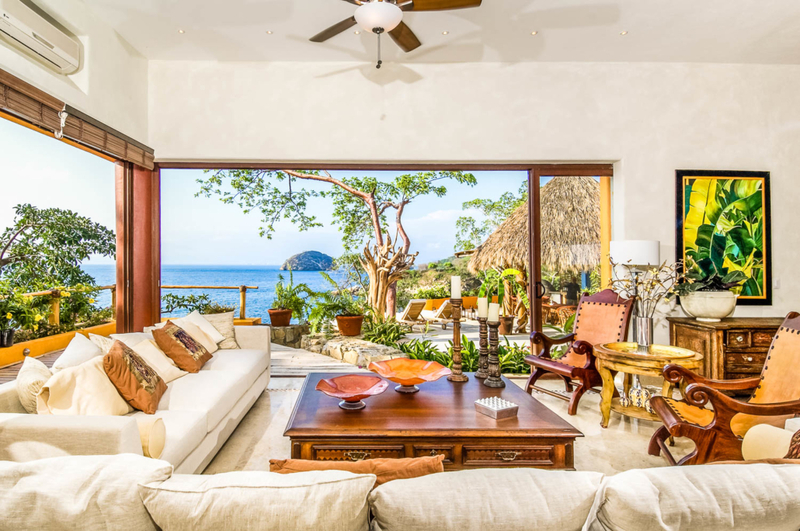 Green spaces, hay-thatched roofs, mature palm trees, and ocean views flow throughout interior spaces, ensuring the open-air, tropical atmosphere is ever-present. 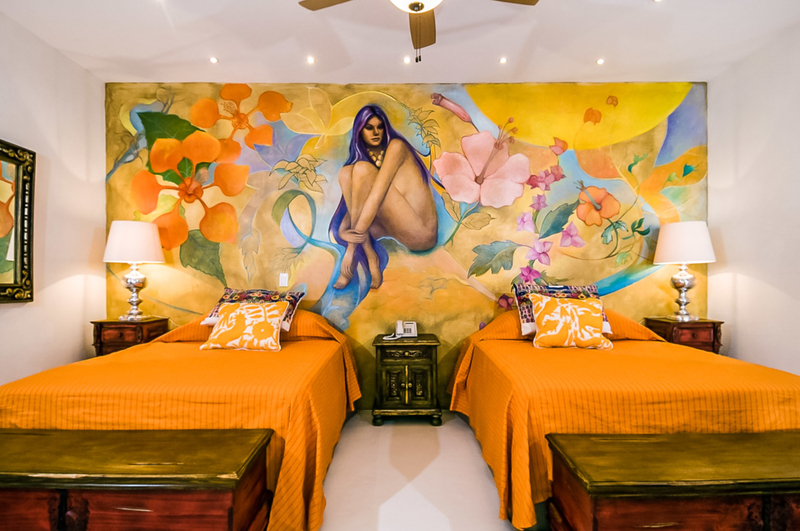 In the common spaces, you’ll find plush furniture, plenty of natural wood and stone accents, high-end electronics, and an eclectic collection of local art. 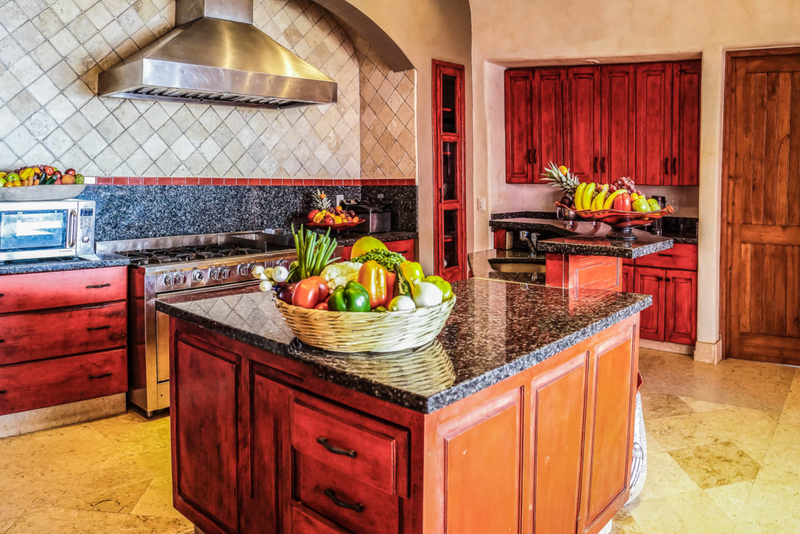 The fully equipped kitchen is decked out in thick granite and stainless steel appliances, sure to inspire culinary creativity. 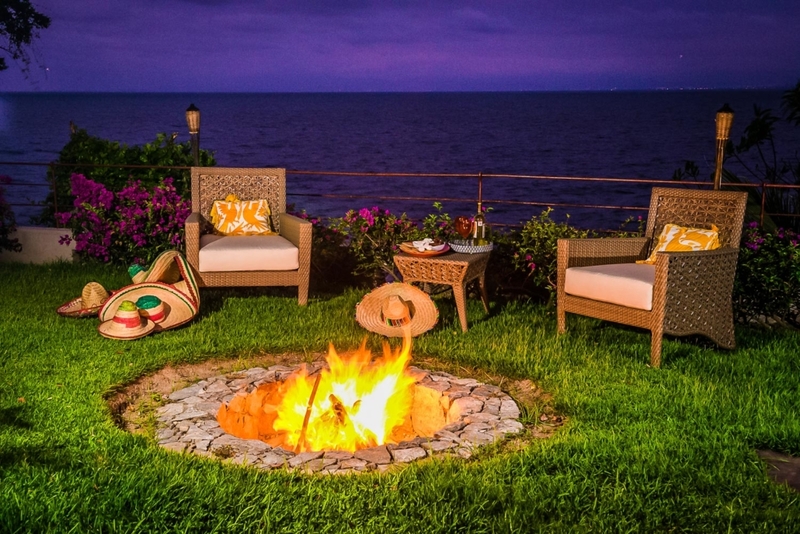 And, there’s a brick pizza oven on the terrace. 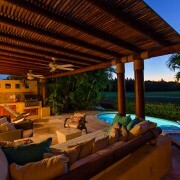 Outside, you’ll love the functionality of the multi-level terrace. 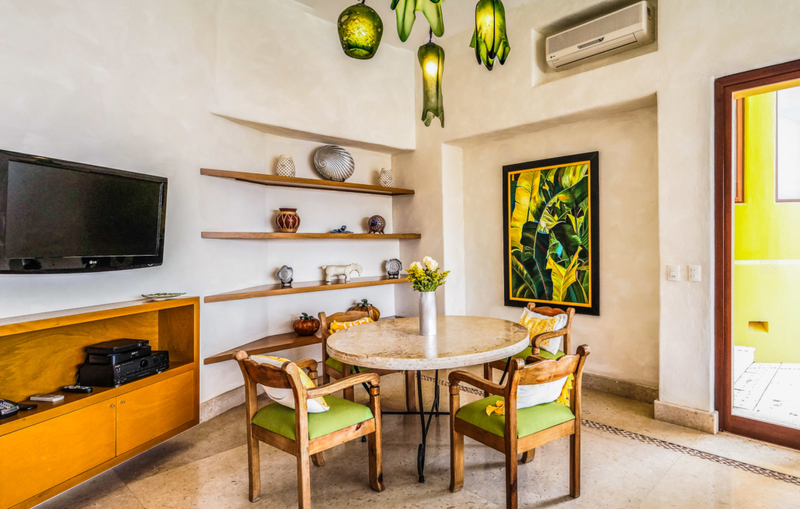 It’s easy to find space for group gatherings, as well as smaller sitting areas, perfect for more intimate moments. 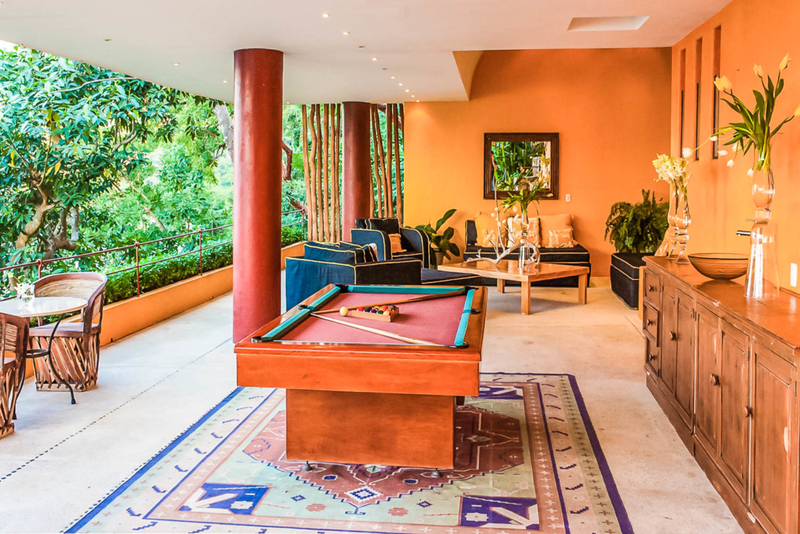 On the upper level, you’ll find alfresco dining, the heated swimming pool, hot tub, and plenty of furnished lounge space. 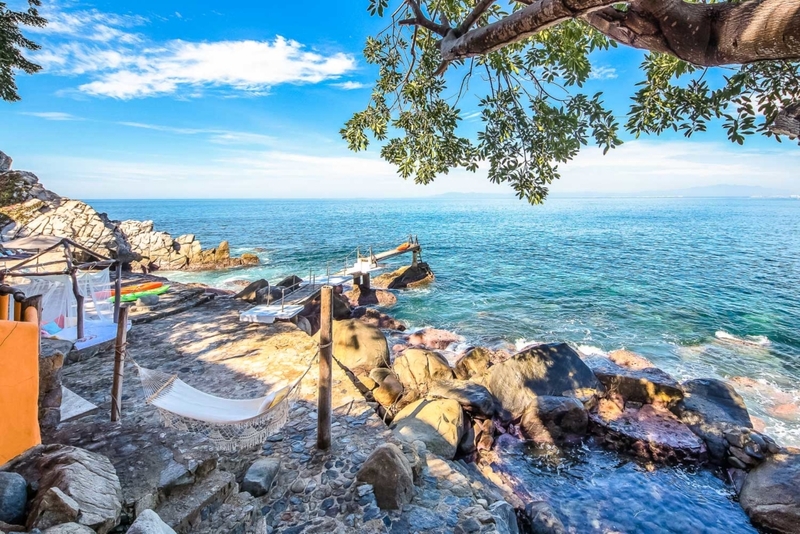 On the ocean level, you’ll love cooling off in the tidal pool, relaxing in the hammock, and watching the sunset from the sun bed, all to the sound of waves washing over the rocky shore. 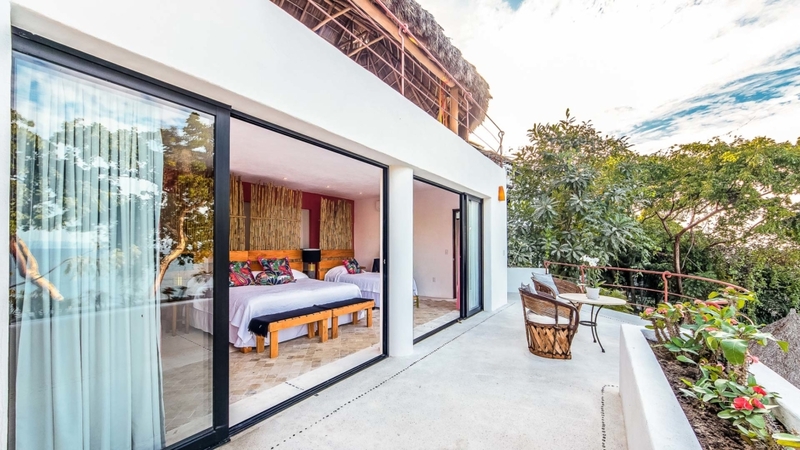 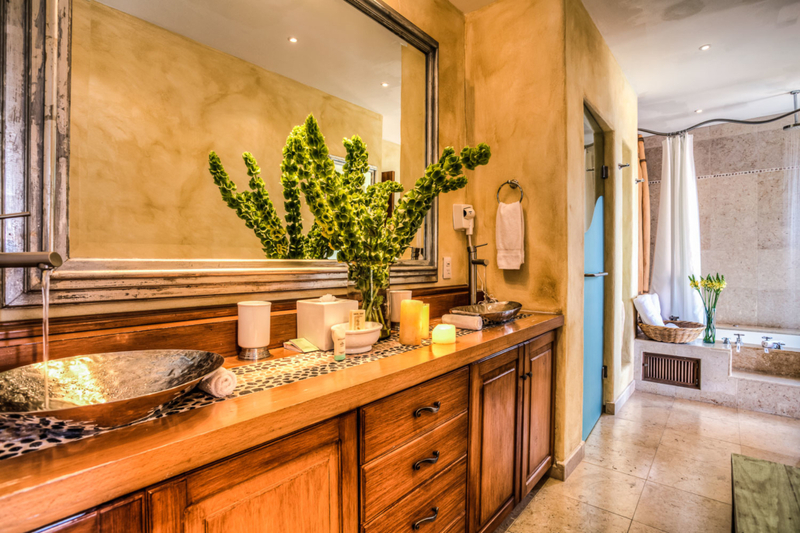 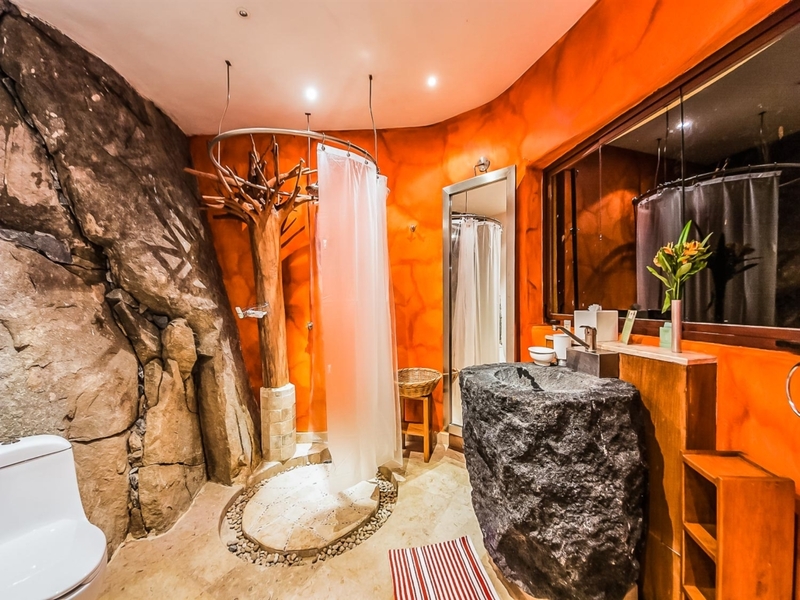 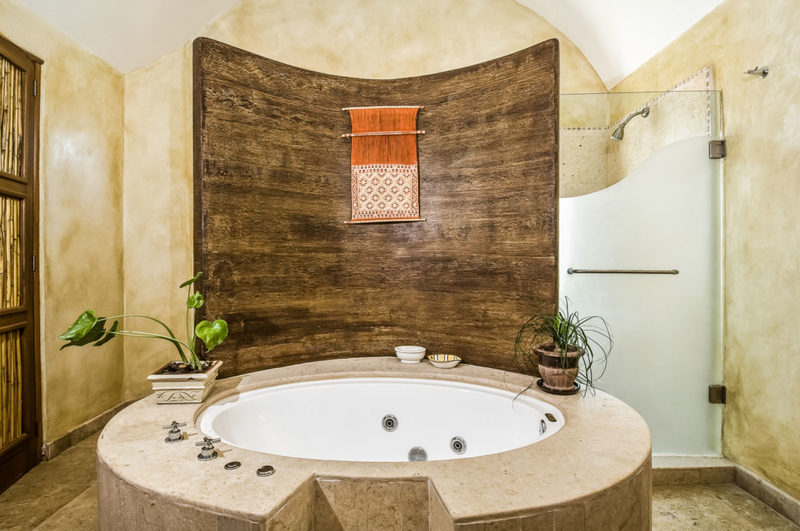 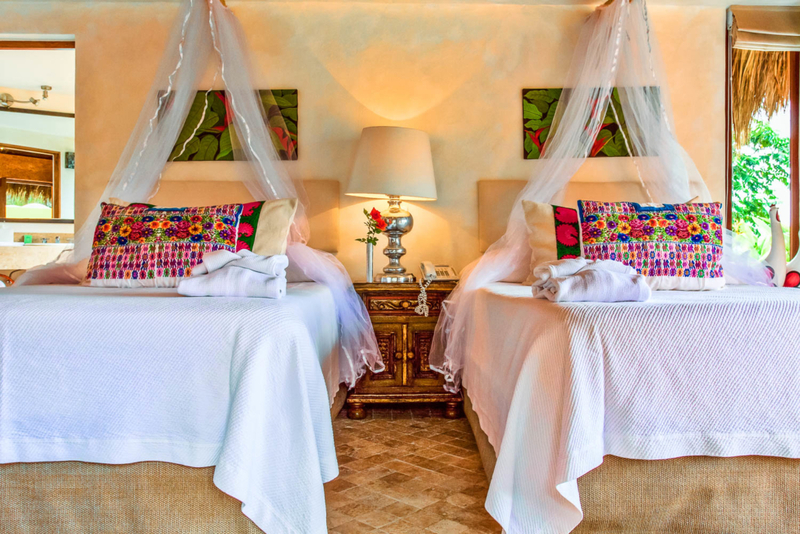 With eleven uniquely themed bedrooms, all with en-suite bathrooms, you and your guests will have the utmost privacy during your stay. 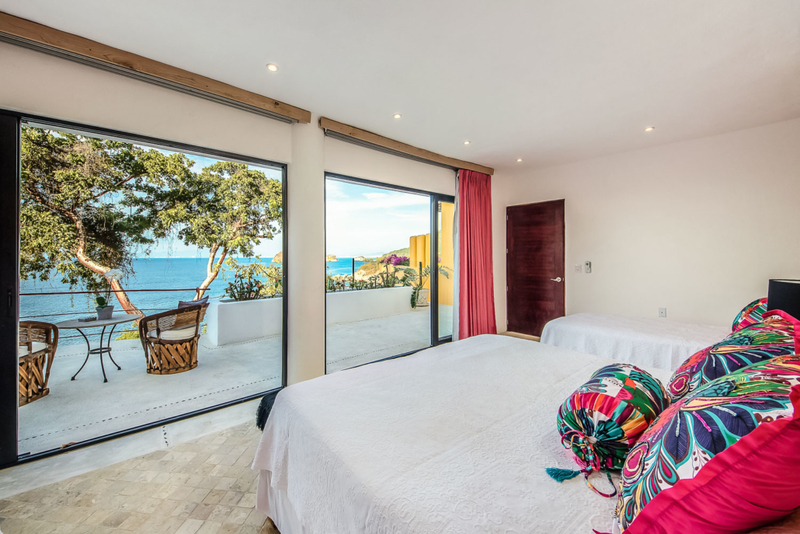 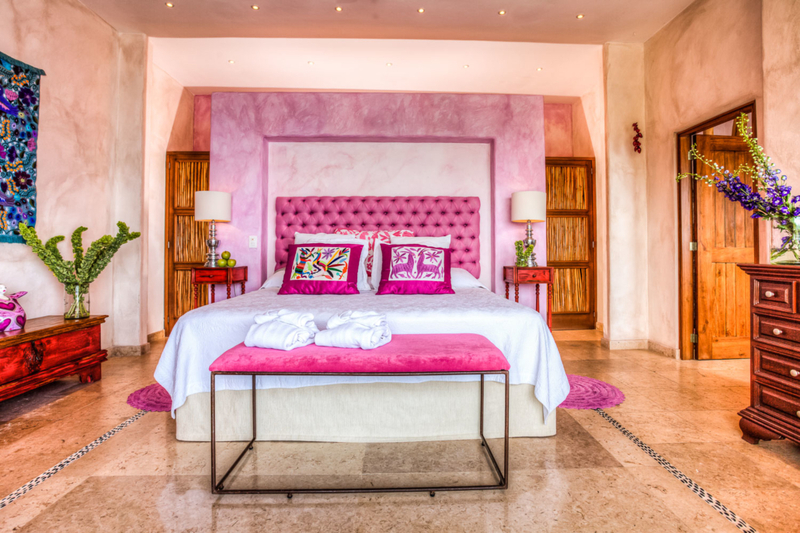 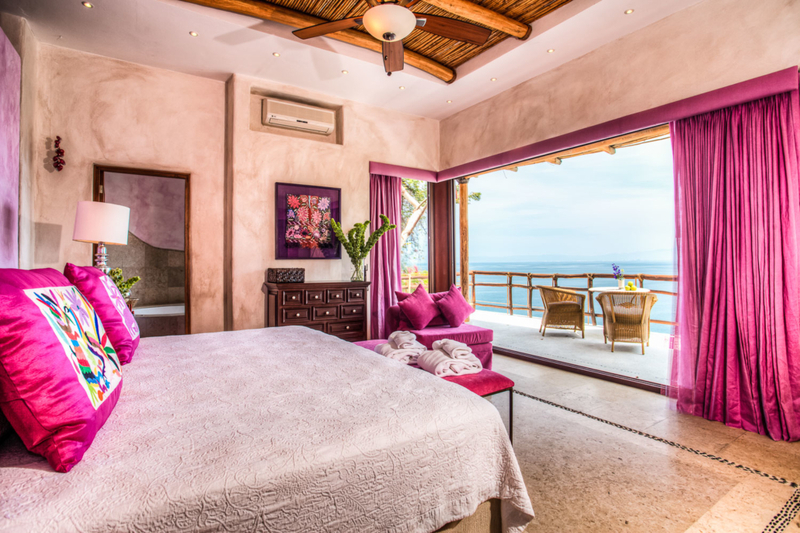 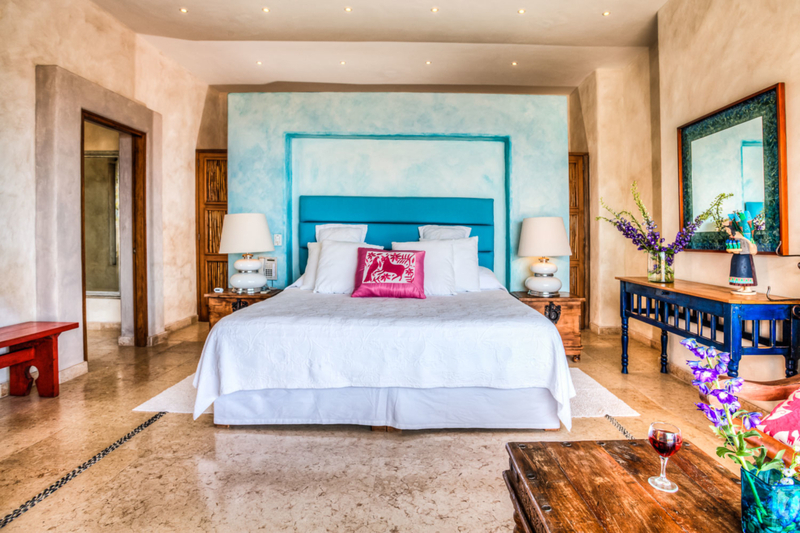 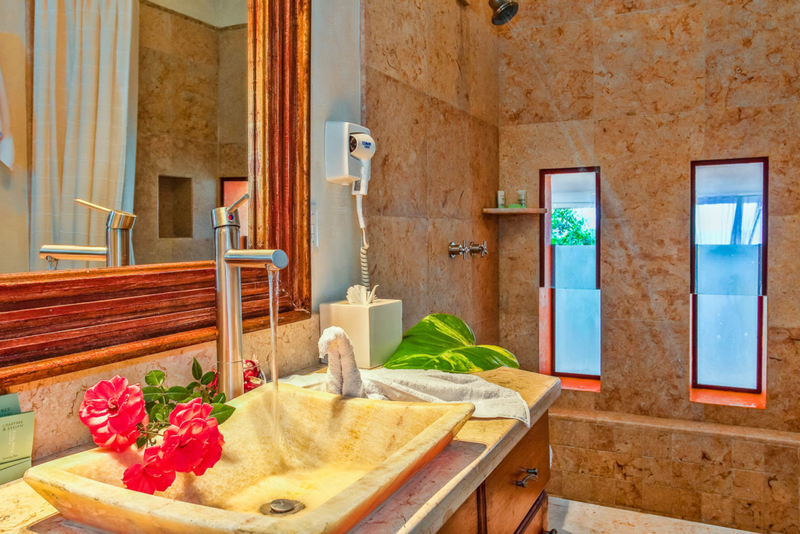 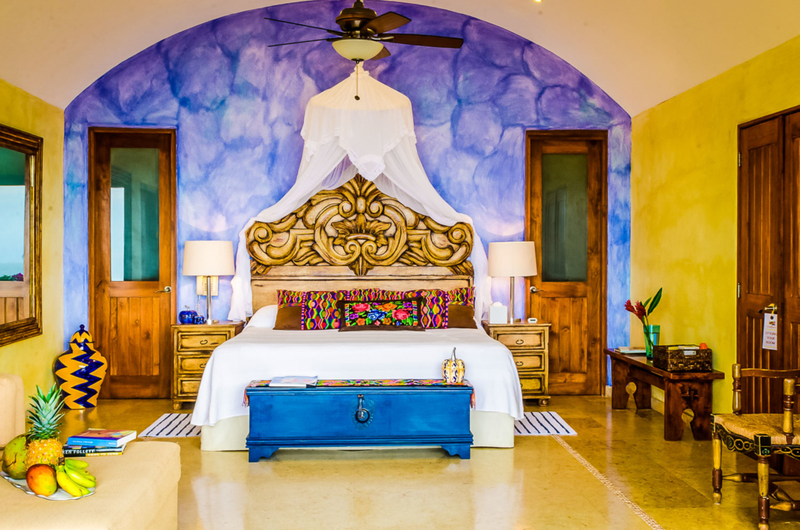 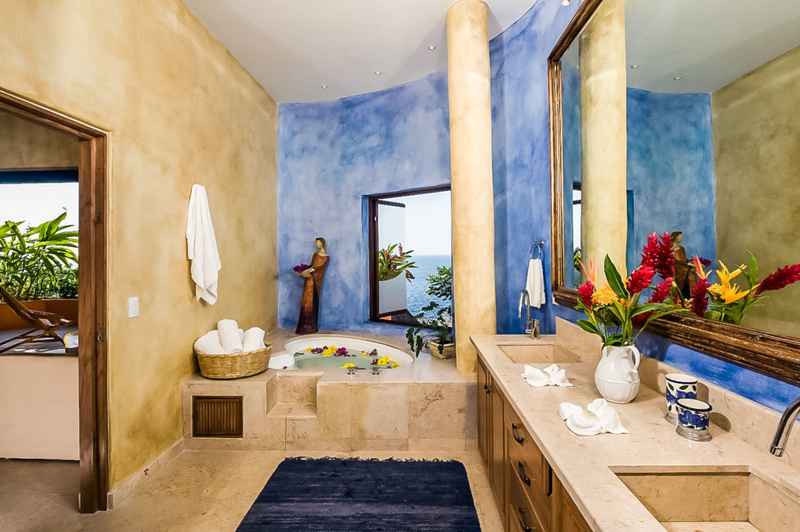 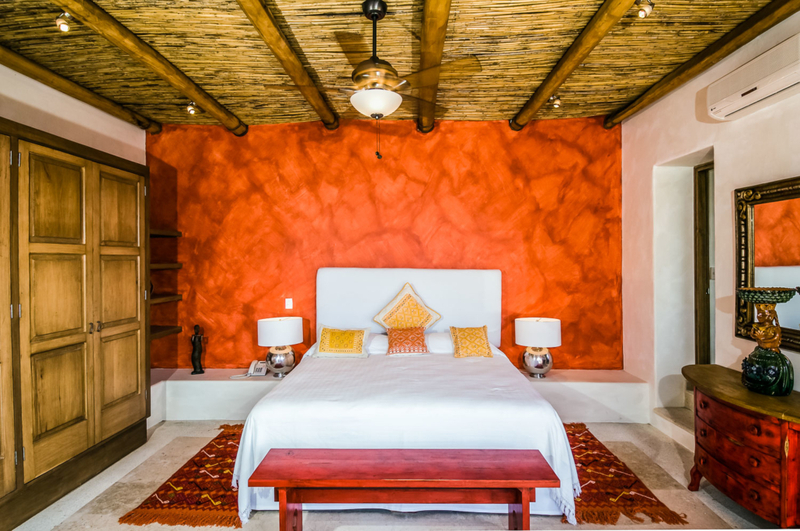 There are seven master suites, all with king sized beds, ocean views, and their own private terraces. 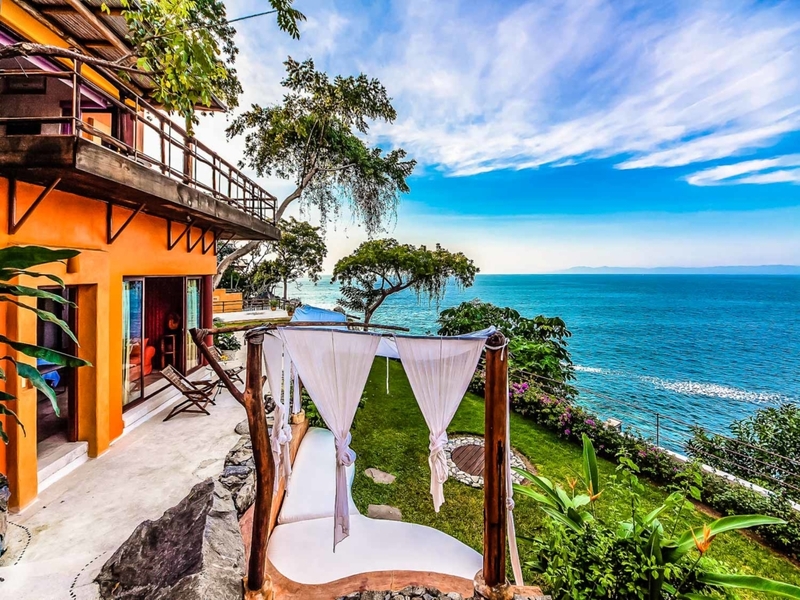 Nearby, you’ll love the exciting city of Puerto Vallarta. 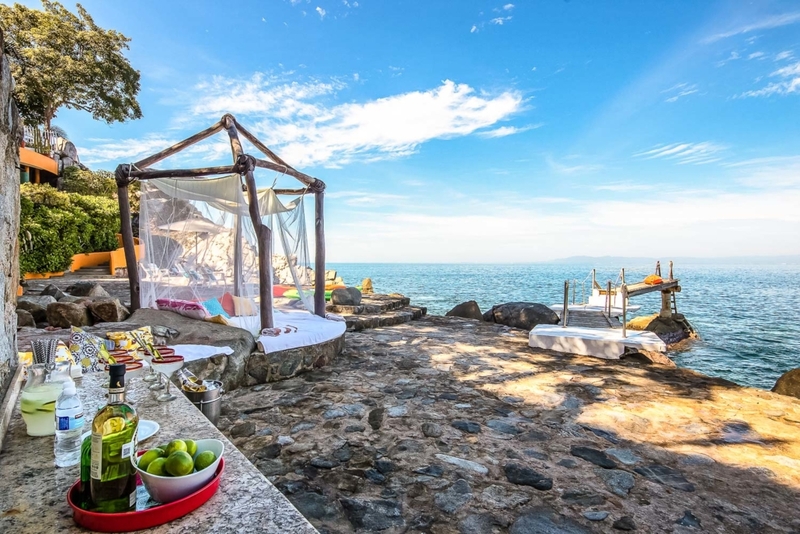 Known for its outdoor activities, Puerto Vallarta is perfect for water sports, golf, and plenty of beachfront bars and restaurants.